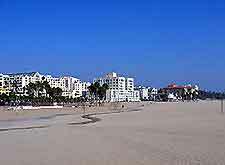 Many of the area's most popular hotels are located right on the beachfront, close to a range of amenities and offering superb coastal views. 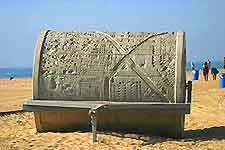 View of the unusual 'Cement Roller' sculpture on the beachfront. 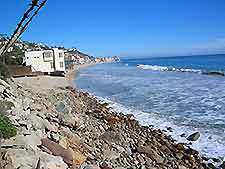 Coastal view of the Malibu area. 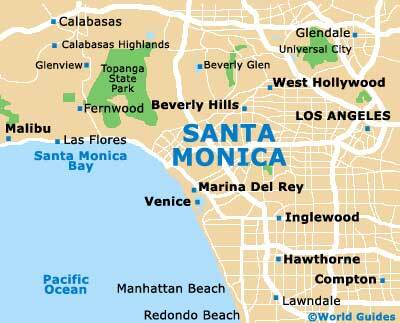 Aerial view of downtown Santa Monica, lined with shops and cafés with outdoor seating. 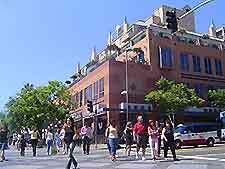 View of the downtown district and its historical buildings. 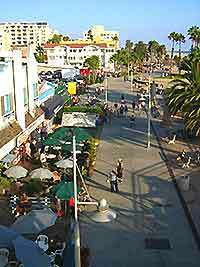 Busy city life in the heart of the downtown district, close to the beachfront. 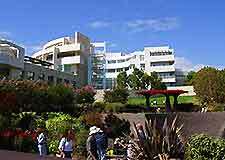 View of LA's nearby Getty Museum, a major center for art lovers visiting the area. 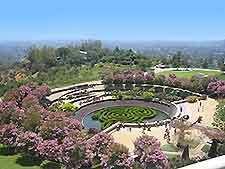 The Getty Museum is known for its superb collection of art work, together with its beautiful landscaped garden and impressive views. 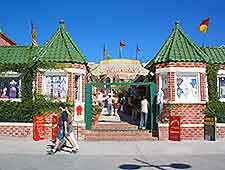 View of Gingerbread Court shopping area. 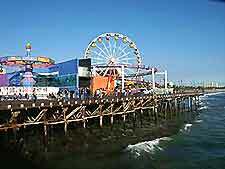 View of the Santa Monica Pier, one of the area's top attractions, with fairground rides and a historic carousel. 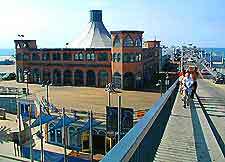 Further view of the pier, with superb coastal views and a popular aquarium. 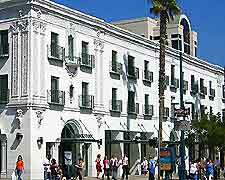 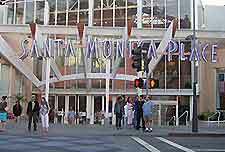 Santa Monica Place along Third Street Boulevard, a major three-floor indoor shopping mall featuring a number of well-known department stores. 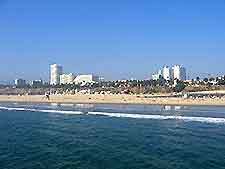 Distant view of the skyline and coast. 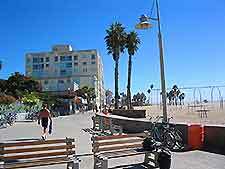 The nearby Venice Beach area, offering superb views of the Pacific Ocean. 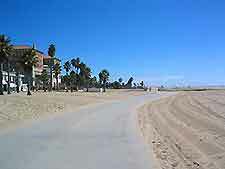 Walking trail along Venice Beach.